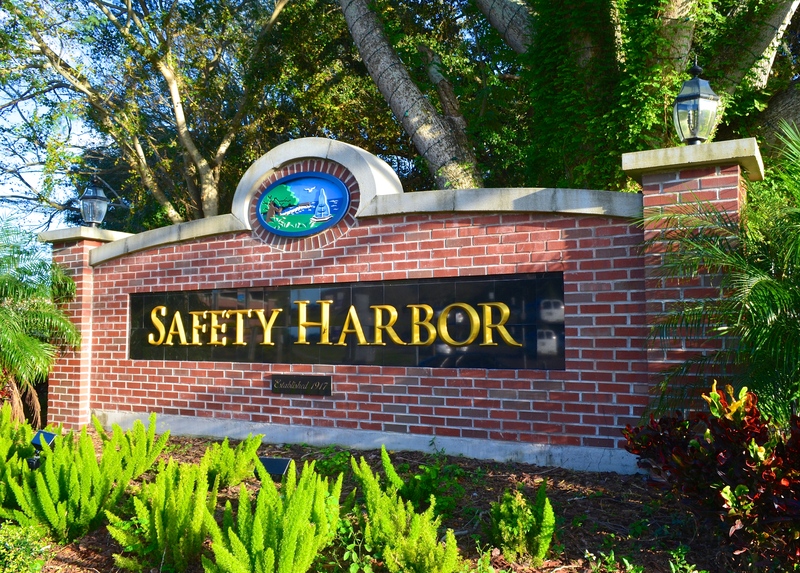 Safety Harbor Mayor Joe Ayoub recently announced his Tree Plant Challenge, a citywide initiative designed to preserve and grow the City’s tree canopy. There’s little doubt Safety Harbor is one of the most tree-friendly communities in Pinellas County and the Tampa Bay area, if not the entire state. With that in mind, Mayor Joe Ayoub recently launched the Mayor Joe Ayoub Tree Plant Challenge, an initiative designed to unite the community around a shared goal of protecting and growing the city’s tree canopy. “The thought process is there’s been a lot of excitement in the City around planting trees nowadays,” Ayoub said during his Commission Report on Monday night. The mayor explained the program is comprised of four categories—Individual, Neighborhood, Nonprofit and Private Organization—and he said the winners will be selected by a group of city officials and staff members later this year. He noted his plan should dovetail nicely with a pair of City-sponsored tree initiatives, the Free Tree and Street Tree programs. “The City is going to be rolling out soon enough the Street Tree program, where the City’s actually going to donate trees to individuals that coordinate with the City to have those planted,” he said, noting that program could help those competing in the Individual category. After the meeting, the mayor elaborated on his Tree Plant Challenge. “The idea of Mayor Joe Ayoub’s Tree Plant Challenge is to bring the community together around a cause that everyone in the city agrees with, which is ensuring the long-term health and viability of our tree canopy,” Ayoub said via email. 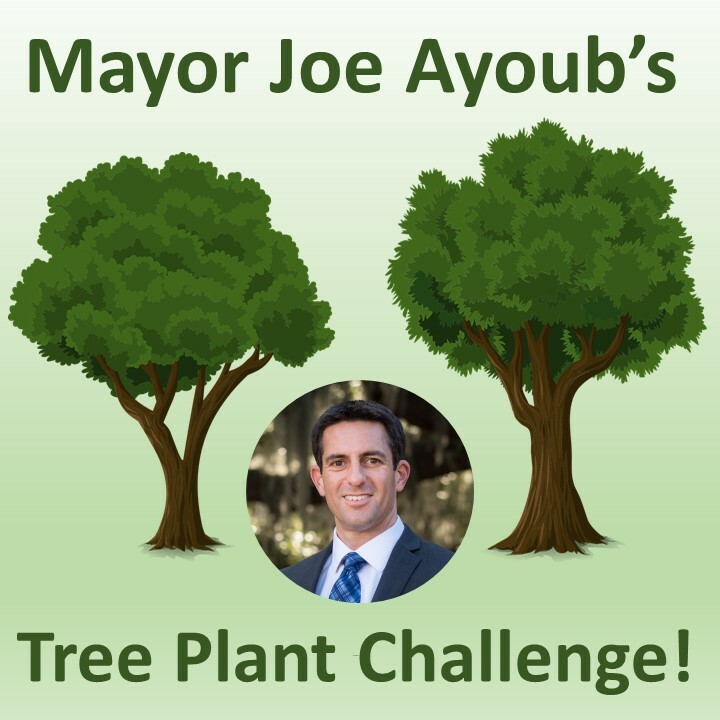 For more information on Mayor Joe Ayoub’s Tree Plant Challenge, visit the Mayor Joe Ayoub Facebook page. Consider the size of tree that you plant to the size it will be 20 or more years and where to place it before you plant it.. Rev., Why are you putting that back on Mayor Ayoub? That was all cleared up last Feb. 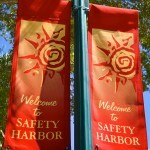 The original approval for the project and the height was in 2003, before Joe Ayoub was on the commission. Reverend – thanks for your comments but unfortunately you have been misinformed with regards to my role in the approval of the condo project. With that said the debate is over and I would hope that you would refrain from disparaging someone’s new home and I ask you to join me in making these new residents feel welcome in our special and charming town. This is how fake news continues to be a part of society: By uninformed people (especially by a man of the cloth), spreading misinformation. The condo was approved before Joe Ayoub became mayor! Rev. Dixon, you need to look up the facts and then go to confession. Why did the city approve wiping out wetland trees off 7th street, across from our rec center? Tree huggers with chainsaws. Who writes this fantasy? If Joey would have kept his campaign promises to implement a 35′ height limit on Main street and preserve the tree canopy…we wouldn’t be having the arguments now about Joey giving his buddy Joe Faw $180,000 from CITY FUNDS. The question is…will Joey now “implement 35′ height limits”? or will he simply say that that’s not what he meant, when he promised this. How many voters voted for Joey, because of his promises? Who is Joey? Are we talking about Mayor Ayoub? He wasnt on the commision when the project was approved . I see alot of people in this town type alot of crap on the computer but where are you at the meetings, because very few speak up. The joey comment is so ignorant. But I am not surprised. Maby we need some new people in town that know how to behave and act decent to one another. I have never seen such crazy behavior in my life. i cant even use my real name for this post because i know alot of crazies will comment . VERY SAD. You don’t need to use your real name Diane. What we really need in town are people who respect SH the way it is and stop backing the “smart” growth group that wants to change it. You show up at every meeting complaining about construction noise Diane. How about the noise we all tolerated while your house was built? If you keep backing more density, get use to lots of noise for years. We need people, Diane, who don’t come to the meetings, like you did Monday, and call out a neighbor by name and say that she “has the worst yard in town” just because you don’t like it. You have also Diane, no less than twice, called my yard a “jungle”. How friendly is that? You don’t respect neighbors who want a vegetable garden in their yard. You don’t know about Fla. friendly plants in yards. Really Diane, do you think your little patch of grass is good? Polluting mowing, fertilizing, spraying pesticides? Then you threaten to knock on all your neighbor’s doors and introduce yourself. No need to do that. Believe me, everyone knows of you Diane. Diane, consider the source. “Who wants to live next to that?” Well I guess more than they want to admit because there are more older 2 stories homes next to single story home that have been here over 20+ years. Our 1928 bungalow is 2 stories, the home on the SE corner of 2nd St S and 7th Ave S is 2 stories right over a small single story cottage, the house across from us on 3rd St S is 2 stories next to a single home, home on the NE of 6th Ave S and 5th St S is 2 stories and looks down on the home behind her. I could go on but I think you get the idea. It seems the few who are complaining have been just fine with these homes in the past but as soon as someone new comes in and builds a new 2 story home all hell breaks loose. Again, consider the source. 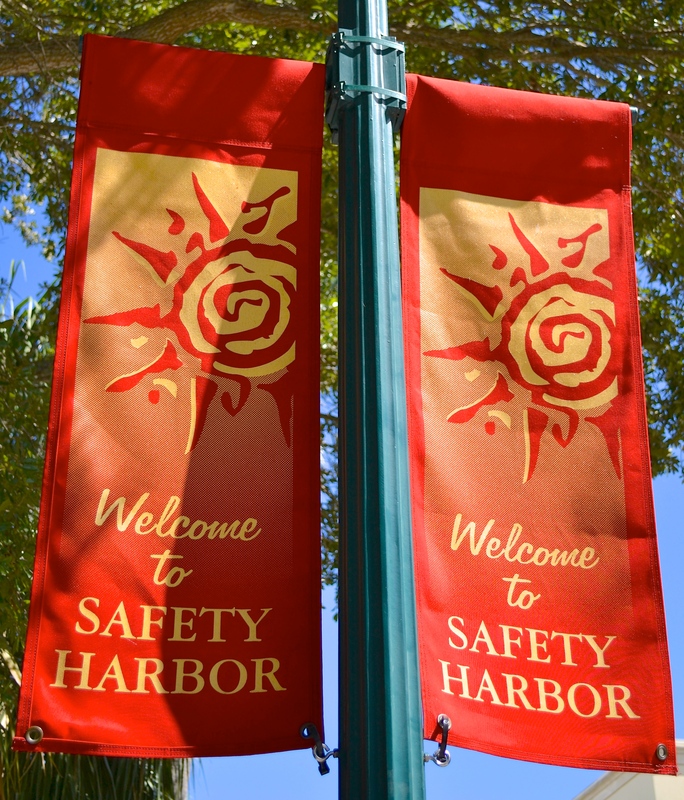 You have a beautiful home, good neighbors and what is to become the best street in downtown. Something to be proud of. Smile, be happy and live good! If you want to see this tree plan in action, go on facebook Saving Safety Harbor to see the video of the future of any trees standing in the way of building lot line to lot line. Looks like the trees are losing this challenge! The mayor’s friend, Joe Faw Bay to Bay, who is building this project on Main St & 2nd Ave N, will surely win the price for having the most impact, in a bad way, on trees in this City. Why are the followers of SSH page so hateful? Did someone beat them with an ugly stick? I just don’t understand and frankly it has made me want to start cutting trees not planting them. I live in a planned community that has nice large oaks but 30 years ago the land was bulldozed including the trees to build the homes. You come across as the stereotype “old biddies”. And that is a compliment.